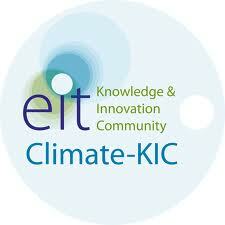 Yesterday the Climate-KIC Venture Competition Switzerland was held at ETH Zurich. The two winners receive prizes of CHF 24’000 each, as well as a place in the European Climate-KIC final taking place in Valencia, Spain in October. Climate-KIC Switzerland’s most promising start-ups took to the stage yesterday and presented their 5-minute pitches to the audience and the expert panel. The two winners selected by the panel are ImagineCargo and Rewinner. ImagineCargo offers fast, reliable, cost-effective and clean package transportation. Transportation is a significant contributor to negative external environmental and societal impacts (e.g. congestion, noise, emissions, etc.) but at the same time generates positive economic benefits. A 5kg package transported across Europe using a typical express carrier such as FedEx, UPS or DHL could generate up to 12kg of CO2 emissions. FedEx, UPS, DHL and other operators are carrying around 4.5 million express packages around Europe this way every day. ImagineCargo is connecting together cycle couriers in cities around Europe with high-speed passenger trains that have package carrying capacity, thereby creating a sustainable transportation network and reducing the CO2 impact by up to 99%. ReWinner takes quality, used windows being removed and disposed of in Switzerland and reuses them in Eastern Europe where windows are in poor condition. Windows cause between 25-30% of energy loss in a building making them a considerable factor in energy efficiency. Thousands of windows are replaced in Switzerland each year which are still twice as efficient as many windows in Eastern Europe. Presently, a large segment of homeowners simply do not have the capital to replace their windows resulting in high CO2 emissions, exorbitant heating costs and uncomfortable interior temperatures. 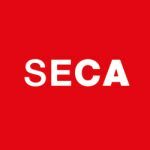 By retrofitting used Swiss windows in buildings in Eastern Europe, CO2 emissions caused by existing windows are halved, heating costs reduced and the interior climate of people’s homes is improved.